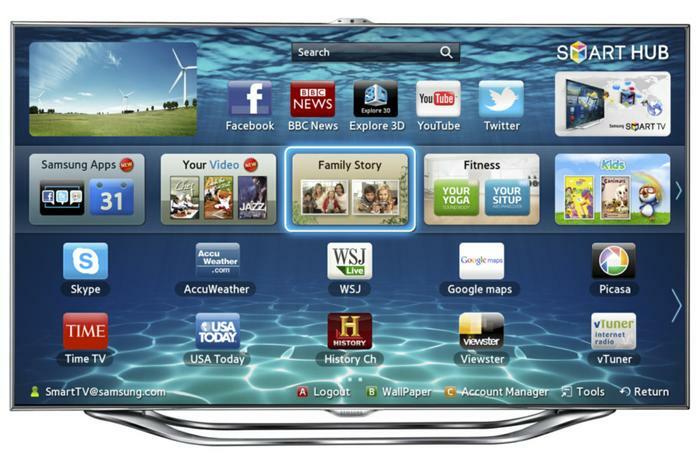 2012 was an exciting year for the television market. Prices fell significantly for existing technology, with edge-lit LED televisions dropping in price as they stole further market share from already dirt-cheap plasmas. OLED TVs failed to materialise from either LG or Samsung, although with another showing coming up at CES 2013 we do expect them some time next year instead. Sony will likely enter the market as well, and Panasonic may do the same. The oft-rumoured Apple TV set was similarly elusive, although its proof-of-concept came in the form of a voice-enabled Lenovo LED TV. It didn’t go on show at WWDC in June as was expected, and we haven’t heard any rumours since. ‘Smart TV’ was the buzzword to watch, while 3D took a definite backward step in manufacturers’ marketing playbooks. Samsung and LG were winners in the Smart stakes, blitzing the competitors in interface design and range of apps. Video on demand came into its own, with companies like Quickflix and Foxtel dominating the Internet TV landscape, as well as extending their reach to mobile devices. Despite Game of Thrones’ uniquely Australian streaming, online video on demand remained largely unspectacular throughout the year, and we still don’t have reliable access to streaming fast-tracked TV or new release movies through our Web-connected TV sets. The Olympics was a stand-out event for the TV market, both in sales and in the amount of content on offer. Big screens got even bigger, with Sharp releasing an 80-inch LED behemoth, while Samsung followed with a $9,999 75-inch Series 9. Sharp has a 90-inch model in the works, which might be out by the end of the year, to secure its place at the top of the food chain. Plasma TVs are slowly disappearing from manufacturers’ line-ups, but they’re not dead yet. A Panasonic rep told PC World that the company was “delighted” that plasma sales had “significantly exceeded” initial forecasts, and that product road-maps for 2013 would still feature plasma models. ‘4K’ TVs, which were quickly renamed Ultra HD, stole punters’ attention away from OLED in the second half of the year. Sony was first out of the gate with its 84-inch BRAVIA, and LG followed soon after. LG’s $16,000 Ultra HD TV was to go on sale last week, but the company had to abandon the launch after some miscommunication between its first customer and launch partner Harvey Norman. The Sony Ultra HD set is pegged at $25,000 and should start shipping to pre-ordering customers in a few days, and there is a slight possibility of free Ultra HD movies being bundled in the future. 8K — or is that Ultra Ultra HD? — is already on the roadmap, spearheaded by Japanese broadcaster NHK, but don’t hold your breath for a 2013 showing. And, to finish up a busy year, it’s easy to find a bargain if you’re looking for a big-screen Christmas gift. Given our glowing 5-star review of the VIERA ST50A, and the frantically positive reception it has received from Australian TV buyers, it should come as no real surprise to see this excellent plasma TV winning top honours for 2012. With Christmas sales rolling around, we’ve seen the ST50A for as little as $1100 for the 50-inch model. For a television this good, that kind of price is mind-boggling; it’s the biggest bargain we’ve ever encountered. Even the 60-inch model is almost below the $2000 mark. If you want a new TV, buy one of these. We’re serious. Samsung has always been a strong performer in the LED-backlit LCD TV market, and the range-topping Series 8 was no different at its June launch. A uniquely Samsungian design and great picture quality was backed up by the best Smart TV implementation we saw this year. Bottom Line: Samsung's best 2012 LED TV is a strong performer for picture quality and design, and it has some interesting technical advancements in the form of voice and motion recognition. On its own, the Series 8 TV is a high quality device. Sony and LG share runners-up honours for their high-end LED TVs. The LG LM9600 showed that one Korean TV maker could stand up to the other, and Sony’s HX850 was a strong showing from the Japanese grand-daddy of tech — it just wans’t as exciting as the Samsung. 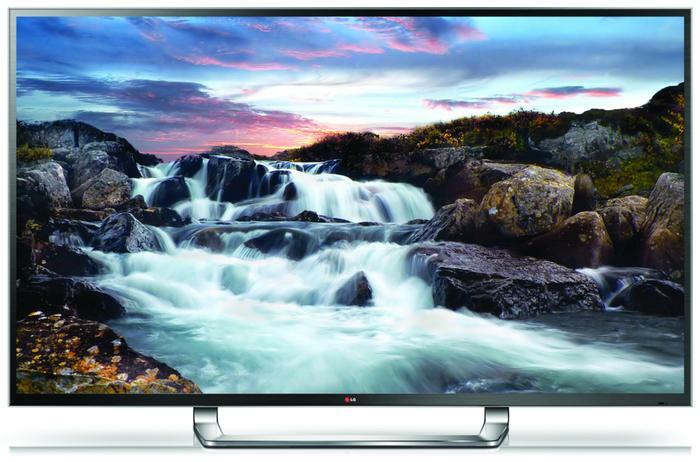 Bottom Line: LG’s top TV uses a local dimming LED backlight and can create excellent pictures with the right settings. Dark scenes don’t always look perfect though. We love the design and the speakers are great. Bottom Line: Sony's new HX850 has good picture quality for its price, performing better than similarly-priced LG and Samsung models in its default and calibrated settings. Apart from some minor issues with detail in dark areas, the HX850 handles both standard and HD video with aplomb. The Panasonic VIERA ST50A was undoubtedly our stand-out television of the year. An amazingly low price and nearly unbeatable picture quality, as well as a basic Smart TV suite and decent power consumption (for a plasma), made the ST50A an easy choice to top our plasma list. Read more NVidia looking at 3D Rendering-as-a-Service? Bottom Line: For the price, we were amazed with the Panasonic VIERA ST50A plasma. Its picture quality is excellent for any 2012 TV -- not just for a plasma -- with exceptionally dark black levels and great detail and motion control. Internet features are mediocre, but this shouldn’t be a major problem. The VIERA VT50A shared in the excellent picture quality of the ST50A, and definitely bettered it in the style stakes. Our main dislike was the significant price premium it carried. 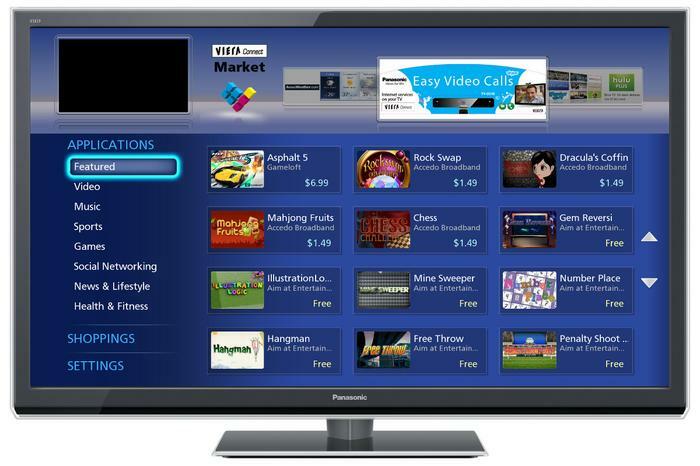 Bottom Line: The Panasonic VT50A is a very high quality plasma TV. Its 1080p Pure Direct mode makes for extremely high detail with high quality content, and 24p Blu-ray support should please cinemaphiles. But these features, along with the VT50A’s pro calibration support, don’t do much to differentiate the display’s picture quality from the also-excellent ST50A. It’s not out yet, with the launch suffering a few unexpected problems, but LG’s 84-inch Ultra HD TV deserves a special mention for its innovation. It looks like a giant’s version of the regular LM9600, and it’s got all the same bells and whistles, but its 3840x2160 pixel resolution can just show so much more detail than a regular Full HD TV. If you can find some Ultra HD content to show on it, that is. Bottom Line: LG's Ultra Definition television is a novel piece of technology, showing off an extremely high resolution panel that at the moment is hamstrung by a lack of content. We wanted to award a special non-TV mention to Foxtel’s twin Internet TV and Xbox 360 streaming TV and catch-up TV services. We’ve complained a lot in the last year about Australia’s woeful video on demand market, and Foxtel has stepped up to the challenge. Old media broadcasters don’t need to be stuck on their tried-and-tested platforms, because Foxtel’s effort has shown that being innovative produces some great results. Bottom Line: As a cut-down, cut-price version of the full Foxtel service, the Foxtel on Internet TV app for Samsung Smart TVs is surprisingly good value. Bottom Line: If you’ve got an Xbox 360 hooked up to your big screen, it’s more versatile than you think. 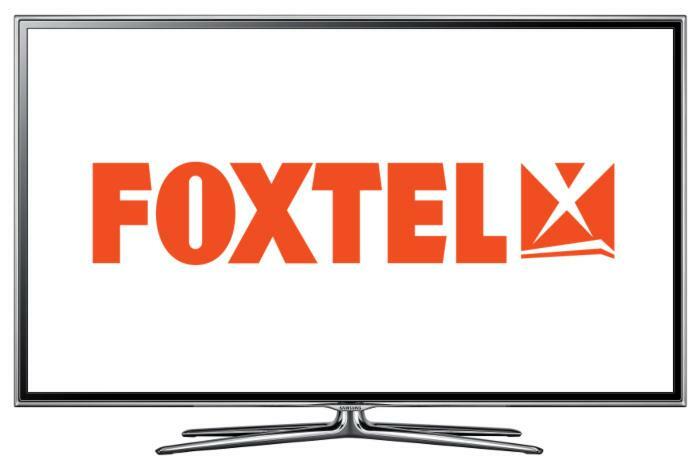 The Foxtel app is a little complex to install and get running, but if you’ve got broadband internet and plenty of download quota, you can get over three dozen Foxtel channels for half of the traditional cable/satellite pay TV price. • Beyond 1080p: LG’s on board, but what about Sony?